The recent spring snowfall in Salt Lake City that blanketed the area from peak to valley in one last (I hope) dumping of snow inspired me to give some of my favorite dark beers one last hurrah before the lighter colored pilsners and blonde ales of summer take their place. 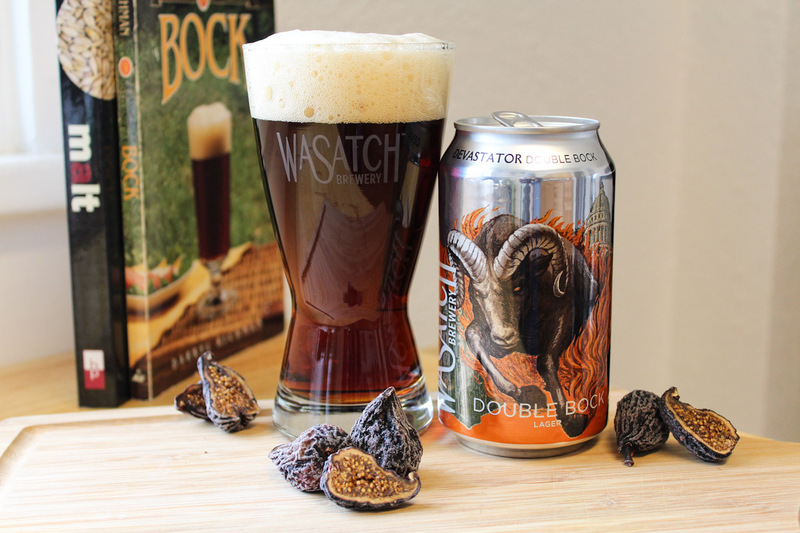 What better way to celebrate dark beer than with food pairings? And heck, why not make the food dark, too? These pairings are not an ode to contrast. They work because the components are born from the same dark vein, building complexity within the same realm of roasty, toasty, chocolaty, or nutty characters without stepping outside the shadows into lighter notes. Balance, bitterness, decadence, and simplicity are all still players in this pairing game. The only difference is someone turned the lights out. Sweet, dark fruit is first to greet the senses. 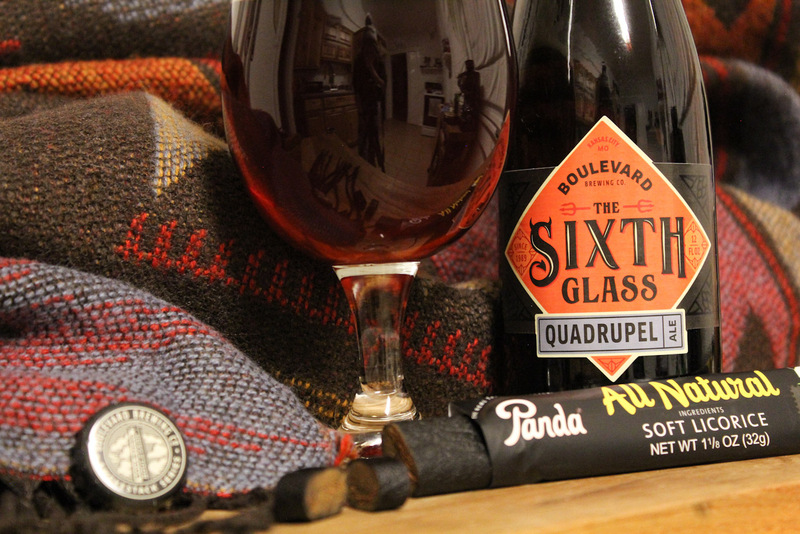 An earthy, cinnamon-like bitterness follows and lingers while you settle into the glass. A slow creep of alcoholic warming eases into a smile after the glass is half drained. There is a surprisingly mild flavor of anise. Most licorice flavored things I’ve tasted are over-the-top with anise flavor. Molasses dominates the flavor and nose. There is a very long aftertaste due to some licorice bits sticking to your teeth. I tasted this licorice for at least 30 minutes after my last bite. This combination makes the anise flavor really pop! The intensity of both are pushed to high or even very high. A burst of apple cobbler and raspberry jam slowly yield to a spice-forward finish. A minty, tangy mouthfeel pervades the palate. Truth be told, I’m not much of a licorice fan. But this pairing is really interesting! The figs tame that raging ram into a gentle lamb. It snuffs the alcoholic warming and elicits some burnt sugar qualities to come forth in the beer. The finish is somewhere in between dessert wine and coffee cake. My oh my… this might be the perfect opportunity to test the ram theory. Furlong might be in the double digits for alcohol content, but it’s smoother than a gelding’s gait. Rounded flavors and a silky texture have reduced any alcoholic bite into a warming liquid blanket suited for cool evenings and long nights. The 2019 release of this bourbon beast is just around the bend. Stay tuned to Red Rock social media for updates. This tastes exactly as it smells. Wow! The raspberry character would make you think there are most definitely raspberries in it – not so! The bight acidity rounded out by the more nutty, earthy notes of the cocoa make this an incredible treat all by itself. 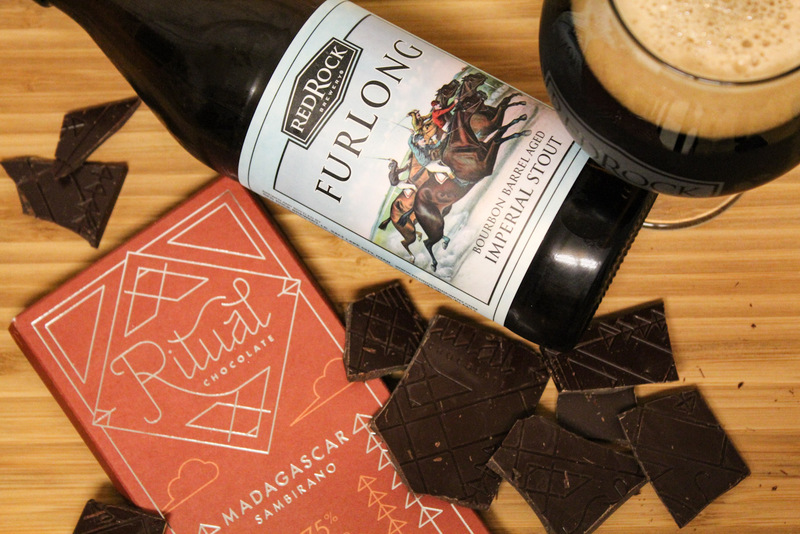 You might think it organoleptically redundant to drink a beer that tastes like chocolate with actual chocolate, but just hold the damn phone. The raspberry notes in the chocolate are electrified when Furlong barges in with bourbon and nutty, earthy tones for backup. The flavor combinations alone are intoxicating, let alone the 10.2% ABV. I won’t be sharing the rest of this bar or bottle with anyone. Red ales are for those of us that still have a taste for the caramel malt forward brews of the early craft beer revolution. 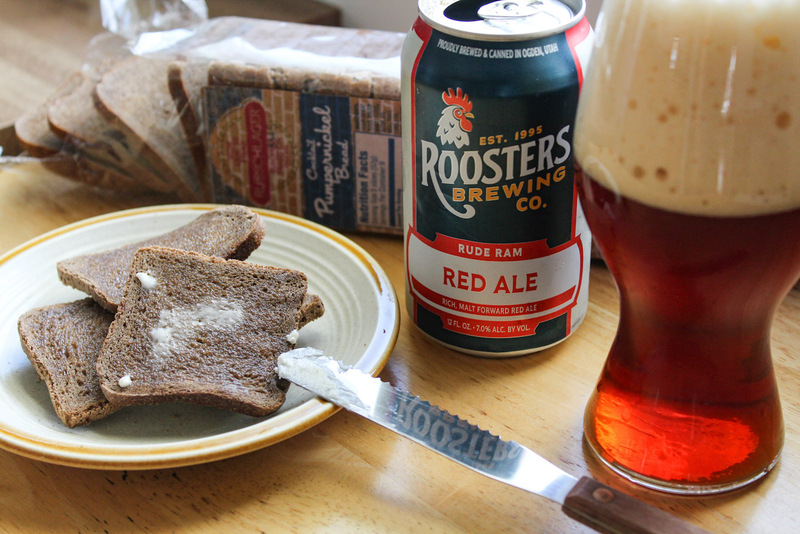 Though often criticized by current tastes for being too caramelly, red ales make excellent beers for food pairing regardless of when you may have developed a palate for craft beer. I’m glad I chose to toast the bread, as well as top it with butter and salt. I’m not sure anyone would choose to eat this bread dry anyway, so doctoring it up just a tiny bit made for a more realistic pairing. The butter and salt enhanced the more earthy, rustic flavors of the bread, while the light toasting helped with texture contrast. The bread mutes the caramelly sweetness of the beer, allowing a cleaner, more bitter note to shine forth. They combine to create a less muddled, yet more complex flavor experience. Despite the sweetness from the bread and residual sweetness from the beer, the bitterness is quite aggressive overall. The intensity is magnified to moderately high. Soon enough, the light of spring and summer will take over, and scorched tongues hardly beg for dark beer. 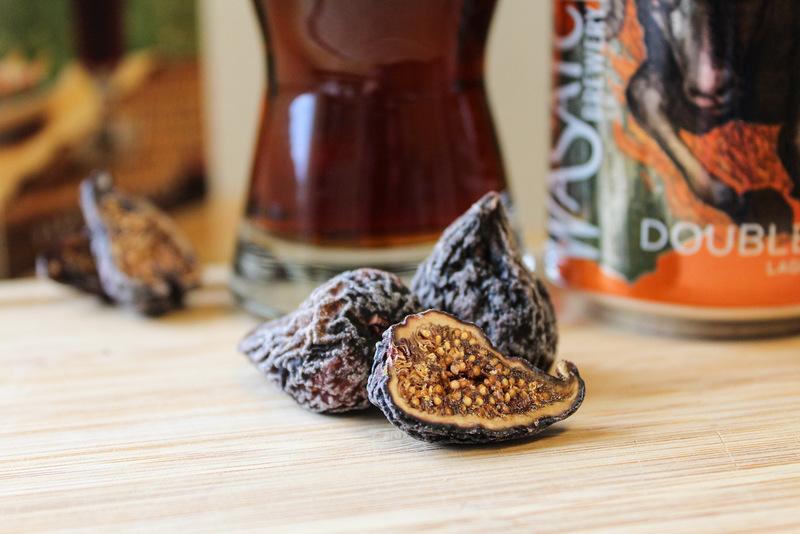 Dig deep in the dark corners of your beer cellar, pick up some chocolate or dried fruit, and you’ll be glad that bottle didn’t sit on the shelf for another year. Cheers to dark beers and their dark food friends!